“Peter Dillon (1788-1847), adventurer, (and entreprenuer) was born (by his own account) of Irish parents in Martinique on 15 June 1788 and taken by his father, also Peter Dillon, to County Meath, Ireland, as a small child. A big man: As a youth he served in the navy. 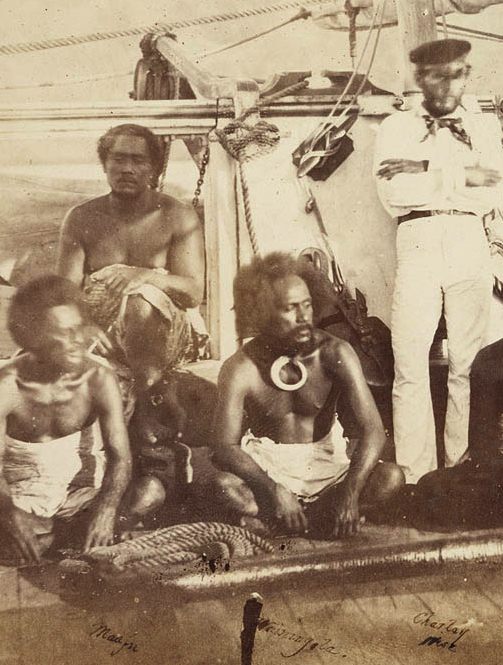 He arrived in Fiji from India in 1808 on a vessel trading for sandalwood. Dillon was an impressive figure, 6ft 4 ins (193 cm) in height and heavily built”.